During the summer, Toyota announced it would lease hundreds of plug-in Prius models by the end of 2009 as a "key first step" in evaluating a version for mass production. Now Toyota is more specific. 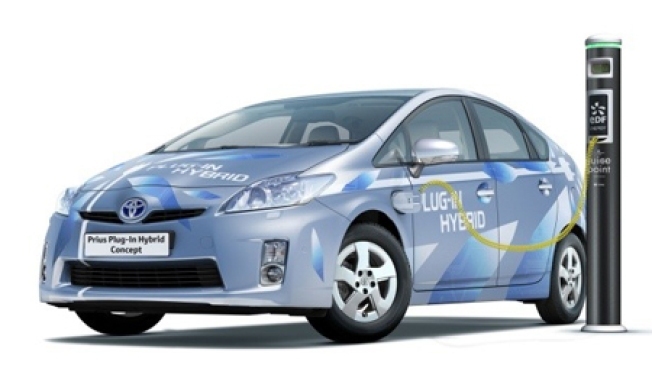 Executive vice president Takeshi Uchiyamada told reporters in Tokyo that the company plans to sell a retail plug-in Prius hybrid for the 2011 model year, Bloomberg reports, with the intent to sell "several tens of thousands" annually around the world. The plug-in Prius will run for about 14 miles on pure electricity generated by a lithium-ion battery, according to the report. After that, the gas engine will kick in and run the car as a hybrid, with an expected overall fuel economy of 134 miles per gallon. Toyota is aiming to price the car "affordably;" currently plug-in conversion kits for the Prius are running at about $10,000.